A teal is not just a teal. Blue-winged teal, green-winged teal and cinnamon teal are related, but their habits and habitat differ widely. Some generalities apply across teal hunting from east to west and north to south. But hunters who want to consistently shoot teal employ strategies to the specific teal species in the area. To explore the details of successful teal hunting, I put together a panel of experienced duck hunters with teal as a primary entry on their respective waterfowl hunting resumes. Spencer Vaa is the head waterfowl biologist for the South Dakota Department of Game, Fish and Parks. He manages the state's waterfowl program. South Dakota is a major production state for blue-winged teal, and Vaa has hunted them and other ducks for 50 years. Mike Sorsky hails from San Jose, Calif. A retired science teacher, Sorsky is a self-admitted full-time marsh rat in the duck-rich San Joaquin Valley of Central California, where thousands of cinnamon teal stage each fall. He has been hunting ducks since 1952. Zach Fahlberg operates Duxmen Outfitters in Arkansas. He guides dozens of hunters every year, and green-winged teal dominate the kill. In 2009, Fahlberg's clients shot nearly 1,600 ducks, about 600 of which were green-winged teal. Each teal team member also has experience with other teal. Many of the North America's greenwings migrate through Vaa's South Dakota. Sorsky loves California greenwings. And Fahlberg annually guides clients to 250 to 300 bluewings in during the Arkansas early teal season. The first step to better teal hunting is to understand each species better, and identify preferred teal habitat. Bluewings are the most fair-weather duck of the teal species. "Blue-winged teal are very early migrants," Vaa confirms. "We band quite a few in early September. Our season usually opens on the last Saturday in September, but there are always enough bluewings remaining to make things interesting. "Their movement is certainly photoperiod related. Some autumns they just go, even if it's still warm. Certainly, a cold snap can nudge them, and extremely mild conditions can convince them to stick around a little longer." To enlarge this image, click here. South Dakota, North Dakota and Montana are primary production states for blue-winged teal, along with the southern Canadian prairie provinces, Vaa adds. All of those migrating teal end up in the central and southern states -- from Kentucky to Kansas and southward -- many of them for the early (September) teal seasons. Greenwings migrate later than bluewings. When poor weather hits, they stick it out much longer than bluewings. "Green-winged teal are grittier," Vaa said. "By mid-October, at this latitude, the bluewings are largely gone. But then the greenwings come in. The green-winged teal is more of a boreal forest and parklands type of bird for nesting." Most greenwings are fledged in Canada and Alaska. By November, greenwings hit more southerly latitudes. "We shoot greenwings all season," said Fahlberg, whose Arkansas season runs from late November through January. "We get greenwings right to the end. They do winter here. We seldom see bluewings after the first of the year, though." Because they are generally found in the West, cinnamon teal aren't as widely known. In terms of behavior, cinnamon teal take after bluewings, preferring mild conditions. Many birds winter in California, though, offering one big benefit to hunters. "We can get cinnamon teal in full breeding plumage from December on, but especially in January," Sorsky said. "The males don't just look dark coming in. You can really see the red! It is something to see." The kind of water each teal likes is important when choosing set-up spots. "For bluewings, I'll concentrate on small wetlands of 10 acres or less," Vaa said. "Greenwings will use the small wetlands, but they're much more comfortable on somewhat bigger water. The best greenwing marshes are 100 acres or more. Either way, teal prefer the shallowest wetlands -- anywhere from mere inches to only a foot or so deep. "Don't overlook seasonal wetlands. A newly flooded area, or one that is only wet occasionally, is prime teal water anywhere." Sorsky echoes those ideas, but with a few twists. "If you want to target cinnamon teal, you have to primarily target small potholes or ponds," he said. "They like smaller water -- habitat similar to mallards. You can find greenwings out over a little bigger water. They're somewhat more comfortable there." Flooded rice fields also equate to cinnamon teal and greenwings in California. "We have two kinds of ducks hunters here: ricers and rats," Sorsky said with a laugh. "Ricers get the teal, along with other ducks. Rats don't get as many teal. "But the rice is not easy to hunt. There are so many places for the ducks to be. Water and food is everywhere. Instead of burning, which was banned, farmers flood the fields to rot the rice stalks. That creates great duck habitat." Fahlberg confirms green-winged teal's preference for larger waters. anywhere from 25 to 80 greenwings buzzing in." I've seen similar habitat preferences at work in western Minnesota. Certain marshes -- wetlands with more acreage and less water depth -- really attract the greenwings every year. It is easy to throw out a few of whatever decoys you have in the bag and hope for the best. But it is smart to tailor your decoy strategy specifically to the teal you're hoping to work. One age-old maxim for teal says that hen mallard decoys will do the trick, especially early in the season when all the birds are in drab eclipse plumage. While hen mallards might work, the teal team advises using teal decoys in your spread. I used to worry about using colorful decoys when real drakes weren't yet fully plumed. The teal team doesn't think the color on drakes mattered, citing the size of a duck's brain and opting instead for the attraction the color would provide -- blue wing patches and white face crescents on bluewings, green and rust head on the greenwings, red on cinnamon drakes. Vaa takes a simple approach to blue-winged teal on small water. "A dozen or so decoys is all you need," he said. "Teal decoys are great, and I recommend them. But bluewings will readily come to mallard decoys if you don't want to make the teal decoy investment. I make mine a mix, with bluewing numbers dominating several mallard hen decoys. I like to put half a dozen or so decoys to one side, a similar amount on the other, and leave a hole in the middle for the birds to land in. Keep it simple." Fahlberg uses a bigger set for bluewings because he hunts over larger water. "Three to four dozen blue-winged teal decoys is about right, down in the river backwaters," he said. "Blue-winged teal are just not that bright or attractive. They're just gray. So you need many decoys to gain ducks' attention, and also to get enough blue to catch their eyes. Drake bluewing decoys help. They have a little more color." Sorsky believes in teal-specific decoys too. "Yes, cinnamon teal decoys are available, and they work," he said. "Get some if you can. We all bring green-winged teal decoys as well. Cinnamons will come in to them. One trick to encourage cinnamons is to always bring some spoonbill (northern shoveler) decoys. Every raft of cinnamons has some spoonbills in the flock. The two birds are closely related, like the same kind of habitat and feed in much the same manner. Spoonbill decoys make the spread look natural, and they give a lot of confidence to approaching cinnamons. Greenwings like this, too." Fahlberg sets a big mixed spread for greenwings, but you can freelance your own smaller setup using the concept. "Our decoy spreads are probably a little more involved and complex than your average teal hunter," he admits. "If you really want greenwings, you have to have some teal decoys in the area. We do what I call a butterfly spread on the levees we hunt. Put a group of mallards and pintails to one side, then a group of mallards and greenwings to the other. We'll use 10-dozen decoys in all, with two to three dozen being teal. Hunters should be positioned in the middle of the four bunches. "You're set for multiple species with this setup, and ready for any wind," Fahlberg said. "It is really good for teal. They see the mallards and pintails, and then notice the teal decoys. They'll head right for the teal fakes. "Later in the season, when the teal are starting to pair off, we'll set out groups of threes and fours, and pair them up. What used to be 10-dozen decoys now becomes three or four dozen." Where legal, spinning-wing decoys come highly recommended for all three kinds of teal. "A robo teal is great, but a mallard will work, too," Fahlberg said. "Teal really come to that flash and motion." Some conventional wisdom says you don't really need to call to teal -- that you can let your decoys do the work -- and if you do call, mallard sounds are good enough. Don't believe it. According to the teal team, these little ducks like the sounds made by their own kind. "Cinnamons, and the other teal for that matter, have a very high-pitched voice," Sorsky said. "To get their attention, start with a rapid series of four to five short notes or peeps. Use a teal whistle. Whistle loud at them to get their attention: 'Peep-peep-peep-peep-peep.' You can call like a green-winged teal, because cinnamons like to be with greenwings. Blue-winged teal migrate early, making them prime targets for youth hunters. "As they approach, go soft. And slow down. Getting softer and slower are the tricks when the birds are closing in. Once they're committed, don't call. You need to move to call, and teal will catch that movement and flare. If they start going, whistle again." Fahlberg also wears a whistle around his neck. "If you're going to be serious about teal, you need a teal whistle on your lanyard. Use short teal whistles to get their attention, then use a mallard call if needed to reel them the rest of the way." In addition to teal whistles, several call companies make good little teal quackers. 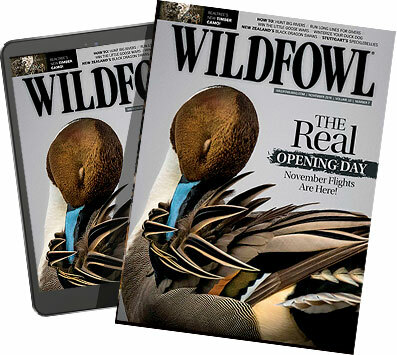 "Both bluewings and greenwings have a high-pitched little quack," Fahlberg said. "It's sounds sort of funny, like a mallard being choked, but it's effective on both bluewings and greenwings." Shooting at teal is about as much fun as a duck hunter can have. As for shotgun, the consensus is to use the gun you're quickest and most comfortable with. If there's ever a time you can go with a lighter gauge such as a 20, teal time is it. nough to handle mallards, pintails or other ducks that might commit. He emphasizes choke. "Steel patterns so tightly, you need to use your more open chokes. I like improved cylinder and modified in my double gun. If you're shooting a pump or autoloader, IC is about perfect out to 35 or 40 yards for small ducks over decoys. But you can't go wrong with modified, especially if there will be some longer shots." Hitting teal is a challenge, but Sorsky offers a simple solution. "Focus on the front end of the target," he advised. "Look at the head and bill. That's where you want to hit anyway, and it affords the best lead opportunity as you swing through and ahead, and touch off." Although teal are small birds, they can be tough to kill. "Carry swatter loads with No. 6 shot," Vaa said. "There are about 300 pellets in there. You'll need them to get to a crippled duck." Teal are among the smallest ducks, but they make a big impact on our duck hunting fortunes. North American hunters kill about two million green-winged teal each season, putting them firmly in second place behind mallards as the most common duck in the bag. Cinnamon teal are lumped together with blue-winged teal in the harvest reports, but combined, they rank fifth at 850,000 birds killed each year. Several trophy teal mark my waterfowl hunting past. I fondly recall a fully colored drake greenwing rocketing out of the sleet on a western Minnesota marsh, my son's first bluewing on a summery September morning in North Dakota and my heart going pitter-patter as my hands smoothed the feathers of a Utah cinnamon. Take the team's advice and insights to heart, and you can build your own storehouse of teal hunting memories. Waterfowl hunter Tom Carpenter writes from Minnetonka, Minn.